What a bunch! Loving #CDWMC Newfoundland edition! Best kind! 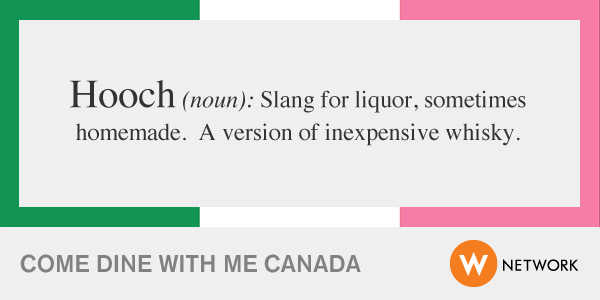 @ComeDineWithMeC: We've learned so much in Newfoundland. @darcybutler could probably win Come Dine with Me also. No blueberries on this menu! WICKET FUNNY LOVES THE SHOW TONIGHT!!!!!!!!! A two hour drive for apples? Watching #cdwmc ! What a great bunch I say. Starved now! I don't have a lot of confidence in Rebecca's kitchen skills. Best #cdwmc ever! Yay Newfoundland! 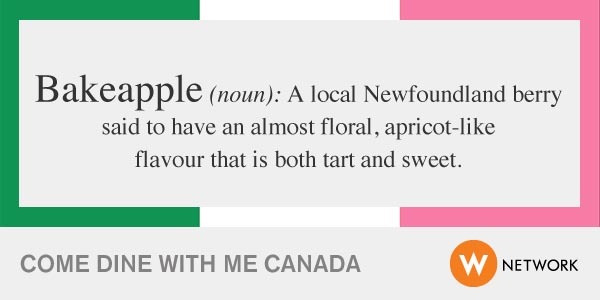 “@PayChen : I've never had bakeapples - a Newfie berry. #cdwmc ” THE BEST. Newfoundland version on come dine with me Canada?!!!!! Thanks! I'll have to look for them. #cdwmc RT @PaulDeCampo : @PayChen . @forbeswildfoods often has them preserved as cloudberry.